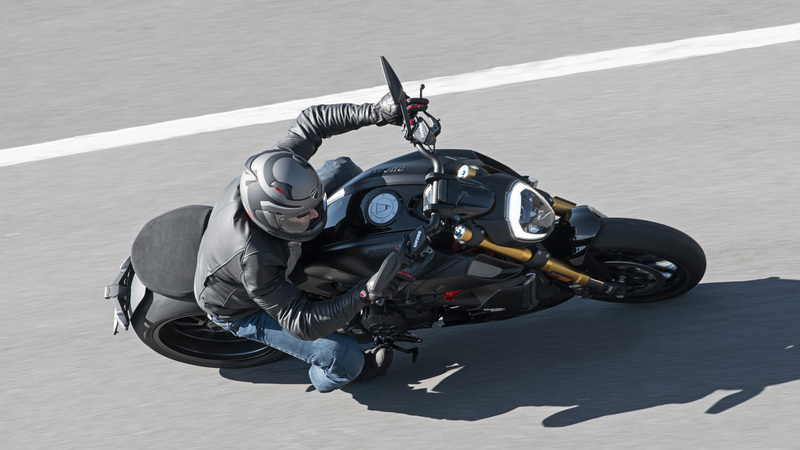 Riding Mode, ABS Cornering Evo Bosch, DTC Evo, DWC Evo, Cruise control, DPL Evo, Hands-Free, Backlit handlebar switches, 3.5" TFT color display, Full LED lighting system, Self cancelling turn indicators. 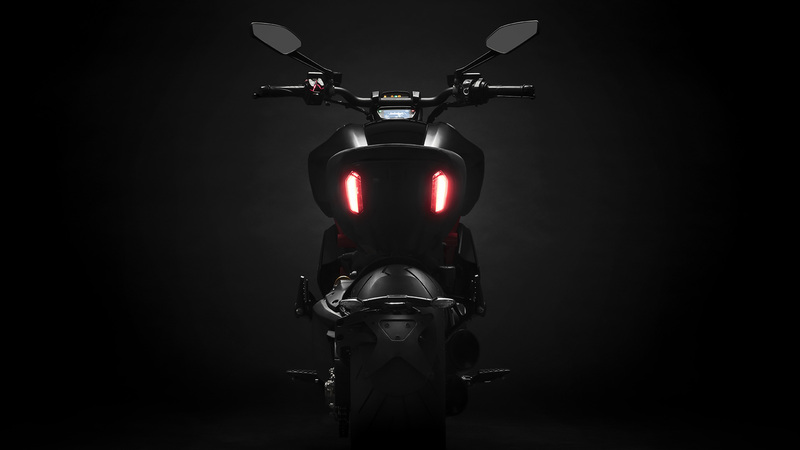 Riding Mode, ABS Cornering Evo Bosch, DTC Evo, DWC Evo, Öhlins suspension, DQS, Cruise control, DPL Evo, Hands-Free, Backlit handlebar switches, 3.5" TFT color display, Full LED lighting system, DRL, Self cancelling turn indicators, DMS. 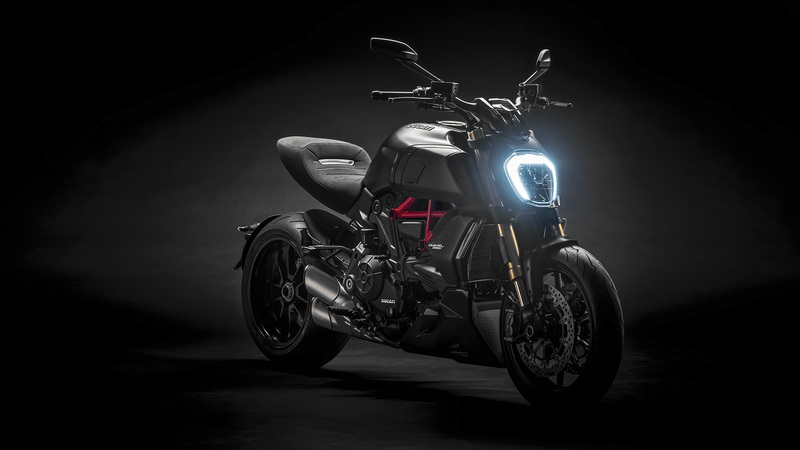 Cruise control, Ducati Power Launch Evo (DPL), Hands-Free, Backlit handlebar switches, 3.5" TFT color display, Full LED lighting system, Self cancelling turn indicators. 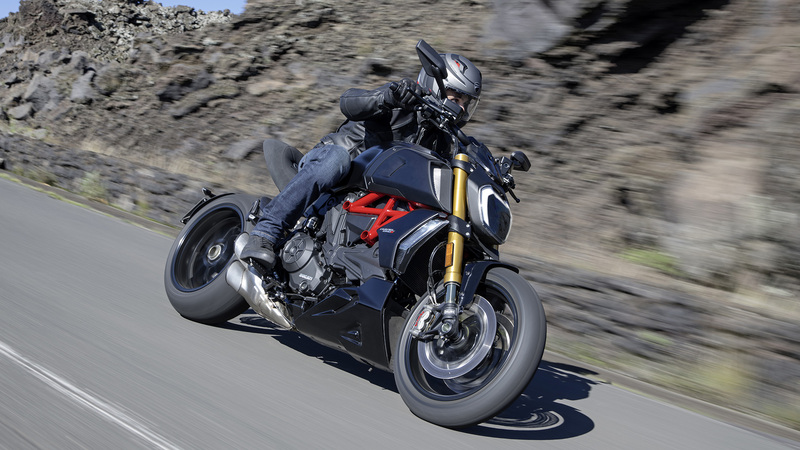 Developed and fine-tuned by Ducati engineers, the DVT system optimizes performance and fluidity of delivery at all speed levels. 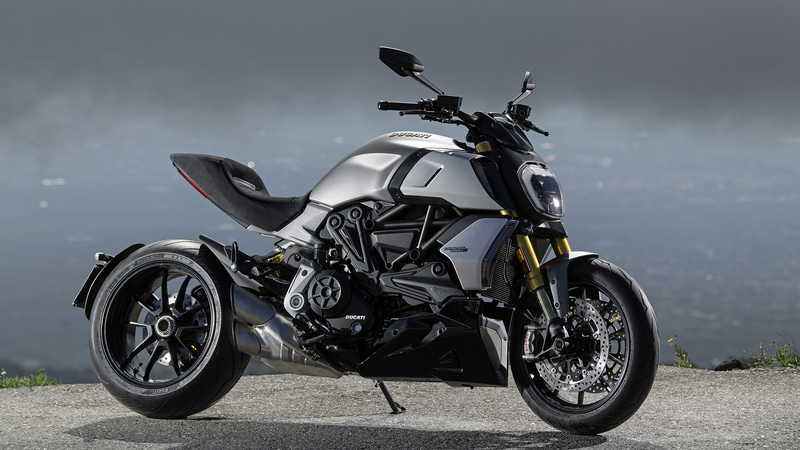 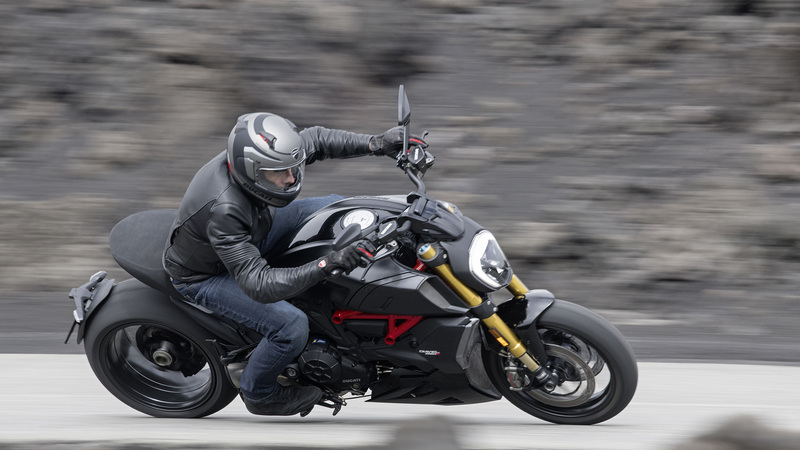 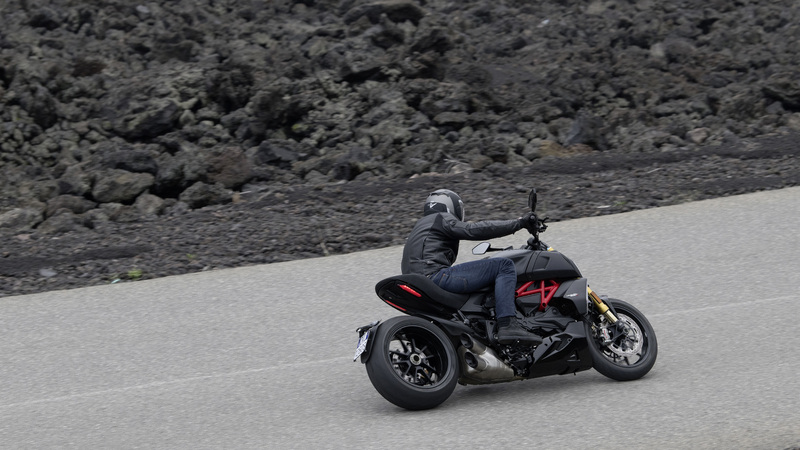 The riding position, the low-seat “power cruiser” ergonomics, the high handlebar, and the central footpegs, very dear to the hearts of first-hour Diavel enthusiasts, did not change. 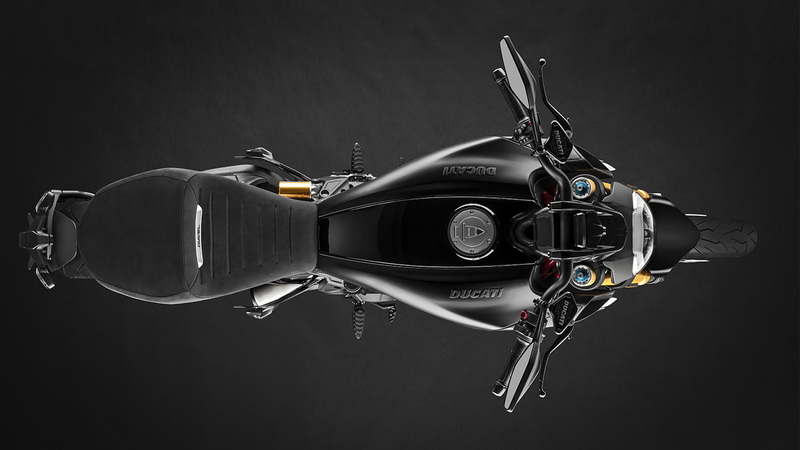 What did change was the chassis. 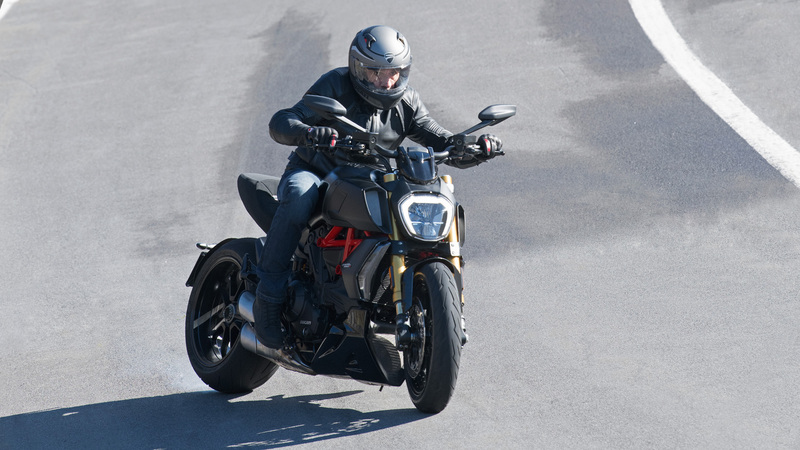 Ducati Traction Control (DTC) is a system derived from racing which basically operating as a filter between the rider’s right hand and the rear tire. 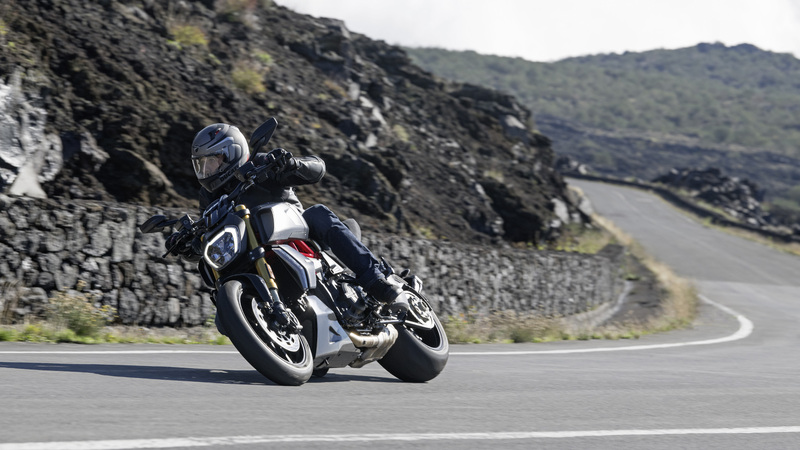 Adjustable on eight levels, the system analyzes the position of the bike (wheelie) and consequently manages torque and power to guarantee maximum acceleration in safety without misalignments. 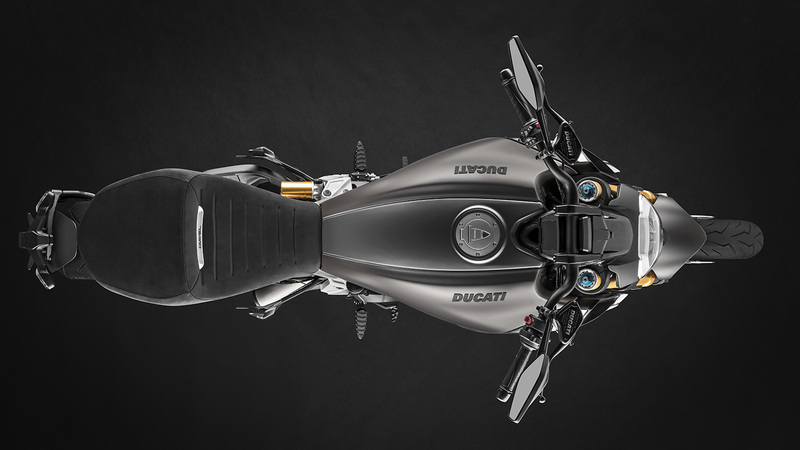 Like the DTC, it has eight levels and has been incorporated in the Riding Modes. 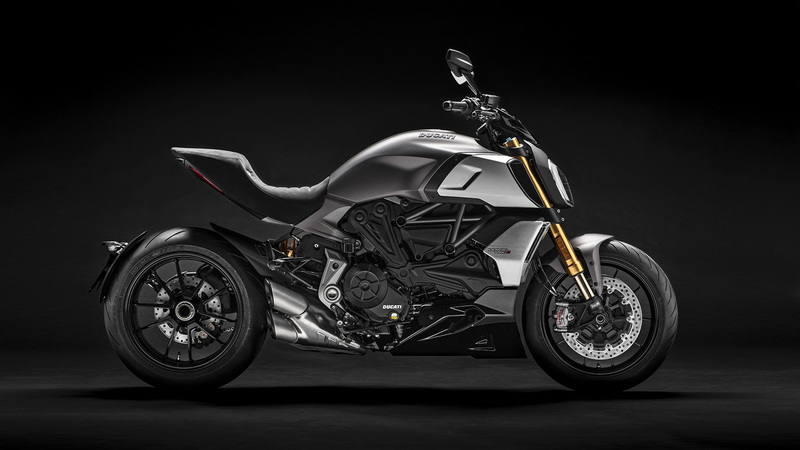 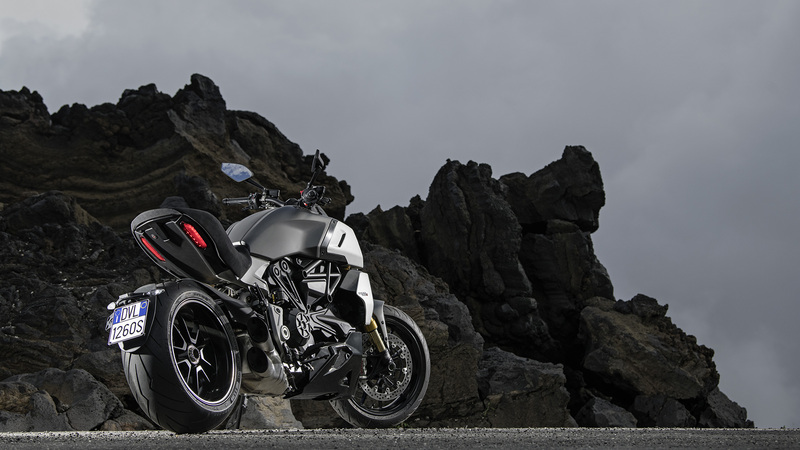 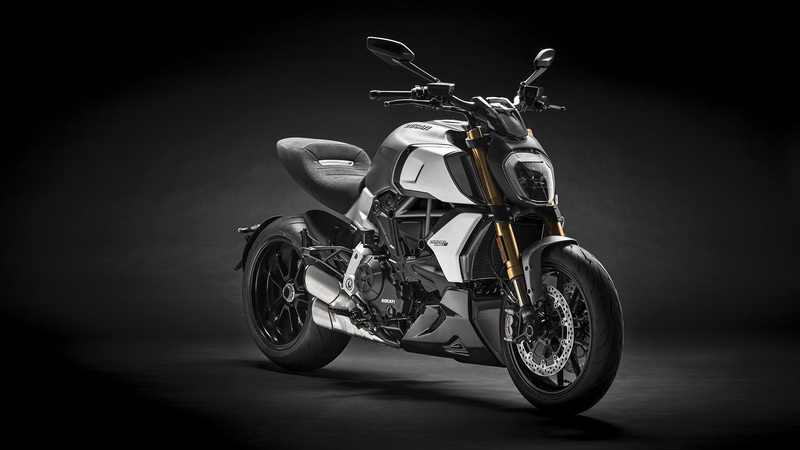 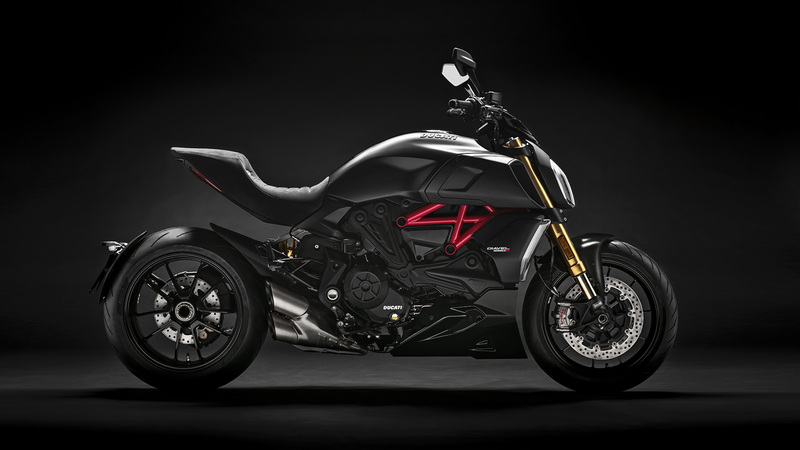 The “Dragster” spirit of the Diavel 1260 is fully displayed thanks to the Ducati Power Launch Evo (DPL). 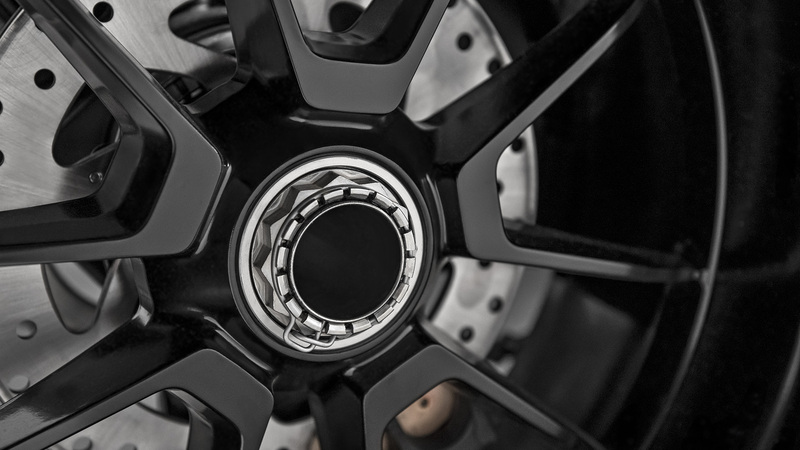 This system ensures a very fast - and safe launch - thanks to the optimized management of the maximum available torque, with a DTC always active and a relentless control of the pitch angle as measured by IMU. 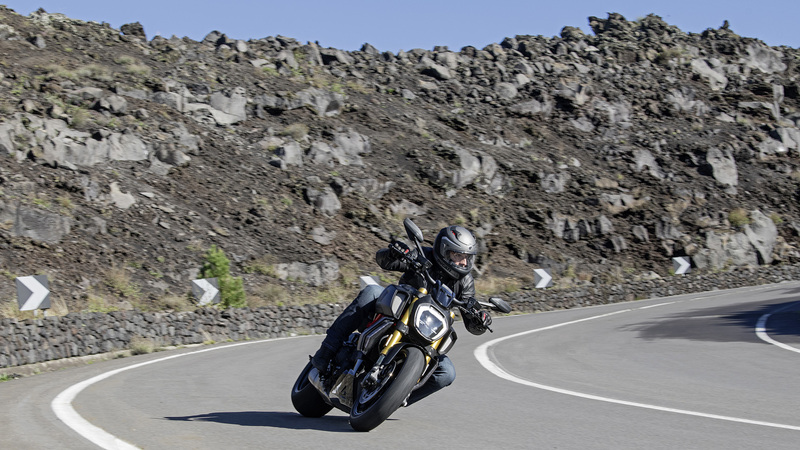 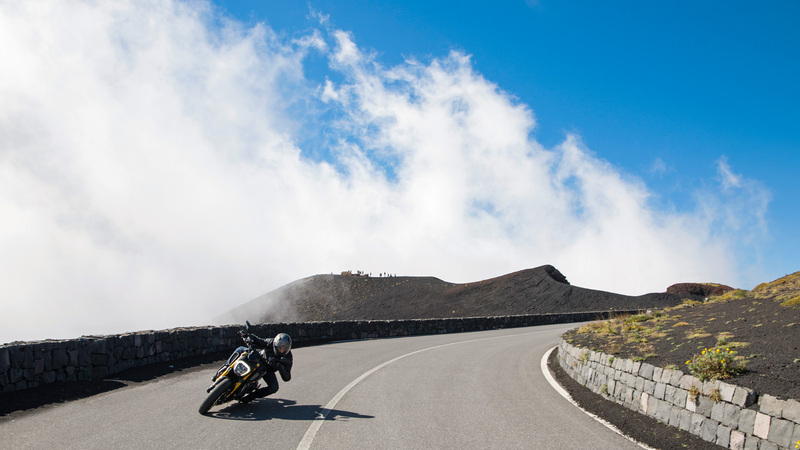 In order to ensure the highest riding comfort during trips, the Diavel 1260 is equipped with a Cruise Control system, handled by backlit controls on the handlebar. 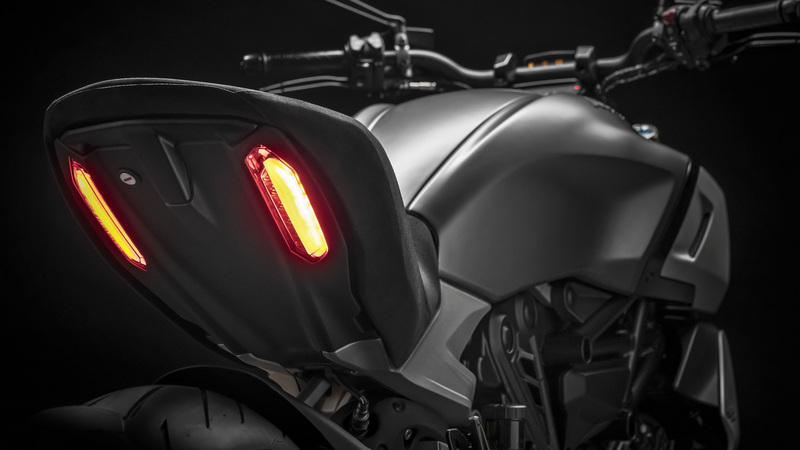 The Diavel 1260 headlight was carefully conceived and is the product of a very focused design process. 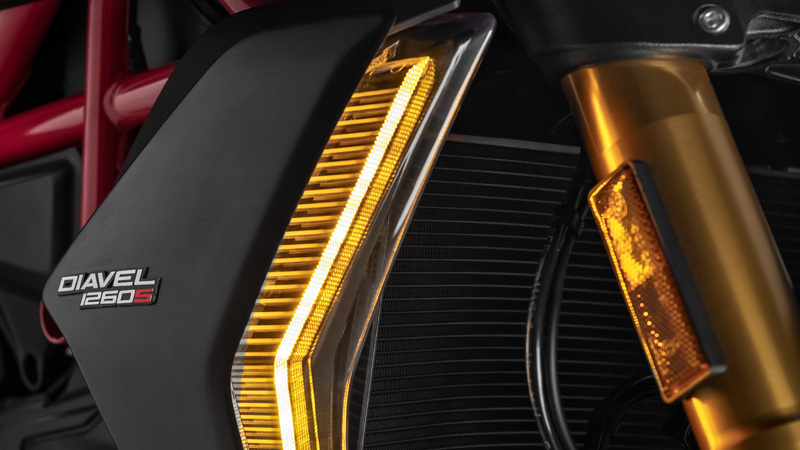 Both the front and rear lights are full LED, designed to ensure maximum lighting performance. 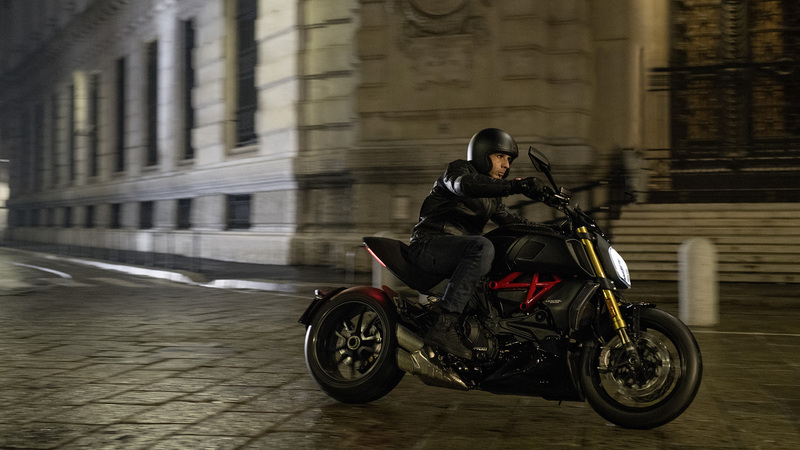 The Diavel 1260 is compatible with the new Ducati Link app, thanks to which it is possible to set the travel mode (combination of Load Mode and Riding Mode) and customize the parameters of each single Riding Mode (ABS, Ducati Traction Control, etc.) 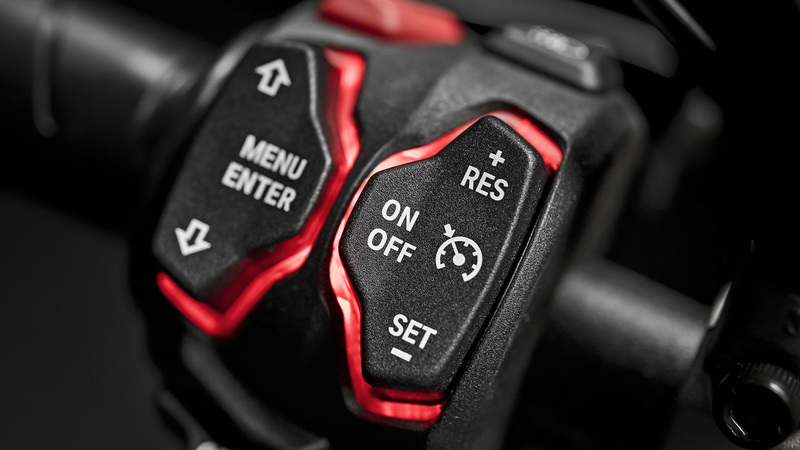 using your smartphone to personalize settings easily and intuitively.